Here are 10 things to ask your double glazing window supplier BEFORE you purchase double glazed windows and doors! 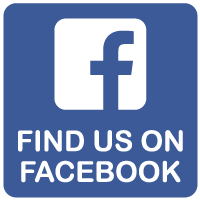 If you have any other questions, please don’t hesitate to call us on 1300 791 254 or send us an email. 1. Do they manufacture their own windows and doors? 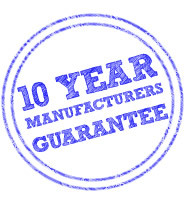 Perth Double Glazing do and offer a full 10 YEAR MANUFACTURERS GUARANTEE! 2. Do they make their own double glazed units using Argon gas or air? Perth Double Glazing do and they offer a choice of Argon or air filled with a full 10 YEAR GUARANTEE! 3. Are they members of the Australian Window Association? 4. Do they use sub-contractors to install the windows and doors? Perth Double Glazing DON’T. All our staff are EMPLOYED by us. 5. Will they push you to sign for new windows and doors? Perth Double Glazing WON’T. We offer FRIENDLY advice and competitive prices with NO pushy salesmen. 6. Can they supply fly-screen? We don't like flies in the house. Perth Double Glazing can. We offer flyscreens for ALL types of windows and doors including our popular RETRACTABLE fly-screens for outward opening windows. 7. How secure are their doors and windows? Perth Double Glazing uses stainless multi point locks on all of our doors and windows that meet the HIGHEST EUROPEAN SECURITY STANDARDS, and of course all products are internally glazed for added security. 8. Will the installers leave your home clean and tidy? Perth Double Glazing WILL. As our installers are EMPLOYED by us, we can GUARANTEE they clean up, dispose of ALL debris, leaving the work area CLEAN and TIDY. 9. Will there be any extra costs? With Perth Double Glazing the price we QUOTE is the price you PAY. Unlike some of our competitors, we DON’T charge extra to finish your windows and dispose the debris. 10. How much deposit will they ask for? Perth Double Glazing ONLY ask for 30% deposit, with NOTHING else to pay until the job is COMPLETE and you are completely satisfied.